B.C.’s Attorney General and MLA for Point Grey, David Eby, travelled to Ottawa to speak with the House of Commons finance committee about the province’s problem with money laundering on March 27. Casinos in B.C. like the River Rock in Richmond have been identified as channels for obscuring the origins of money that may have been obtained illegally, and the government has made it a priority to introduce new anti-money laundering policies as soon as possible. Eby has explained that there are numerous problems with current regulations to prevent this kind of illegal activity, saying that Canada’s policies focus too much on identifying and reporting suspicious transactions in the casinos without actually having measures in place to take action against it. Right now, Canada’s financial intelligence organization, the Financial Transactions and Reports Analysis Centre, bears the responsibility of detecting and deterring money laundering in Canada, and Eby has been critical of the organization’s inability to enforce the law. The fact that federal regulation falls short doesn’t mean that provinces can’t take the matter into their own hands, which is what B.C. did in September 2017 by appointing Peter German to investigate and report on money laundering in casinos. German is a former RCMP deputy commissioner for Western and Northern Canada, a lawyer, and the author of Money Laundering and Corporate Governance From a Canadian Perspective. His report, which was delivered to the provincial government on April 3, consists of 250 pages containing 48 recommendations that he believes the provincial government should implement in order to deter money laundering. The details of the report and the recommendations are still under review from the government and have not been released publicly. Still, given the urgency that the B.C. NDP has been treating this issue with, it’s likely that the details will be published sooner rather than later if they are planning on making the information public. In March, The Vancouver Sun reported that the B.C. Lottery Corp. issued a report saying that casinos could lose up to $88 million of annual revenue if they prevent VIP players from betting with more than $10,000 cash without filling out the declaration every day. Even though the interim policies have made a difference in lowering the rate of suspicious transactions made in casinos, it’s possible that the government might decide to ban cash deposits of more than $10,000 entirely, just to nip the issue in the bud. To the average student, spending more than $10,000 at a casino probably sounds downright obscene, but implementing a restriction this severe would likely take out a large portion of casino profits. Despite this, casinos in the Lower Mainland and the BCLC have been very compliant, even voicing their support for heavier regulations that target money laundering. 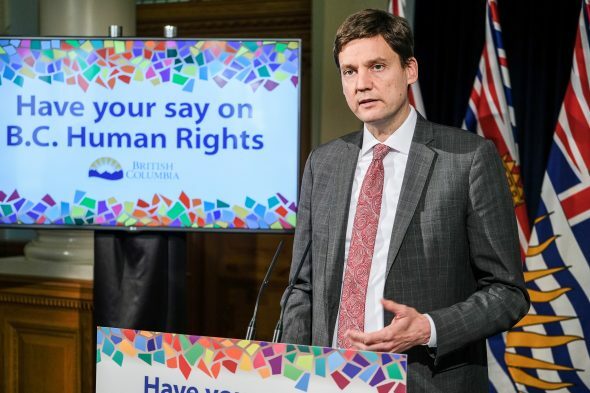 Ultimately, Eby’s performance on this file will reflect on the B.C. NDP’s ability to deal with a crime problem that has plagued the province for years. But until they publish German’s report or unveil any new policies, we won’t know for sure what kind of changes will be made.